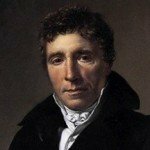 Emmanuel Joseph Sieyès (1748-1836) was the liberal French clergyman who became an influential political writer, best known for authoring the 1789 pamphlet What is the Third Estate? Born to a middle-class family in southern France, not far from Cannes, Sieyès trained at a Paris seminary and entered the priesthood in 1773. He became aware of the venality in the church; it was almost impossible for commoners like Sieyès to enter the higher clergy. These grievances fuelled his political radicalism and his sympathies for the Third Estate. In January 1789 Sieyès published What is the Third Estate?, insisting that the Third Estate’s size and production earned it the right to be the dominant voice in the government. Sieyès’ pamphlet was widely read and enormously popular. More than 30,000 copies and four different editions appeared between January and May 1789. The success of What is the Third Estate? made Sieyès a popular figure and earned him a place at the Estates General. Though not a prominent leader, Sieyès worked vigorously behind the scenes at Versailles. He raised the motion forming the National Assembly, led the drafting of the Tennis Court Oath and contributed to the formulation of the Declaration of the Rights of Man and Citizen. Sieyès re-entered politics in 1792, sitting in the National Convention as a moderate. The rising Jacobin radicalism of 1793 prompted his resignation; he barely survived the Reign of Terror by renouncing his own Catholicism. Sieyès made another comeback to politics after the fall of Robespierre, serving in the Convention, the Council of Five Hundred and the Directory.